As Rani Mukherji turns 38, we take a look back at memory lane in Bollywood on how Rani managed to become the queen of hearts in Bollywood. After all, the meaning of her name in English is Queen, so this title truly does belong to her. It is said that celebrities have to be in the news often to remain in the mind of the people because in the entertainment industry, out of mind means out of sight. But for Rani, whose last film was in 2014, her audience still remember her as the queen of Bollywood. Here are 10 reasons why Rani Mukherji is the queen of Bollywood. For all Malaysians, the introduction of Rani Mukherji was in ‘Kuch Kuch Hota’. ‘Kuch Kuch Hota’ is known to be the most favourite Bollywood film of Malaysians. As much as people loved the Shah Rukh Khan-Kajol pairing in the film, the role of Tina, played by Rani, was greatly appreciated. Rani Mukherji made her debut in a forgettable film. Her real debut in Bollywood was when she got to share the screen with Aamir Khan and Shah Rukh Khan. She acted opposite Aamir in ‘Ghulam’, a film in which Aamir also sang for the first time. Then, she was seen opposite Shah Rukh Khan and Kajol in ‘Kuch Kuch Hota Hai’. Though it was her debut, both Khan superstars were very impressed by Rani’s acting abilities and dedication to her craft. Not every Bollywood heroine can boast of the fact that she looks good with every hero that she’s paired with. Rani Mukherji happens to be one of the actresses, who look good with any actor she’s paired with. Even in ‘No One Killed Jessica’, Rani was paired with a female actress, Vidya Balan, and they looked great together onscreen; probably, because they were both at the top of their game. Rani is a daddy and mummy’s girl. She genuinely loves and adores her parents and will do anything to keep them happy. 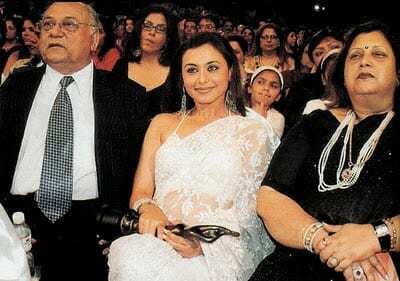 The time that Rani was acting in films, she was busy attending to her sick father. She was always there for them and wanted them to be proud of her. Like the superstars, who had no problem acting opposite her, Rani too had no such problem when it came to sharing the screen with actors, who were not as mature as she was in the film industry. From Abhishek Bachchan to Vivek Oberoi to Shahid Kapoor, Rani had no problem acting opposite them. Rani wanted to continue her studies, but due to her father’s business not working well, her mother asked her to become an actress. Rani agreed and went on to be one of the best actresses of Indian cinema. 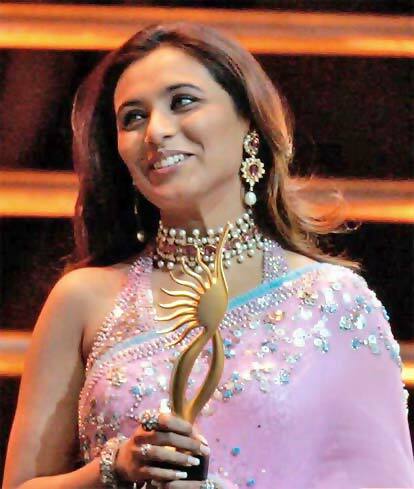 Rani Mukherji has the highest number of Filmfare awards among all Indian actresses. She is also the first actress to win the Best Actress and Best Supporting Actress awards in 2005. Bollywood fans in India voted her as their favourite actress 4 years in a row. That’s how great of an actress Rani is and also it shows how much people love her. Rani is one of the few actresses, who get along with all the 3 Khans (Shah Rukh Khan, Salman Khan and Aamir Khan). Throughout her career, she remained close to all three Khans. The last Khan she worked with was Aamir Khan in ‘Talaash’, a role that Aamir himself called her and asked her to take. It’s been 18 years of Rani Mukherjee for Bollywood fans. For those, who grew up watching her films like ‘Kuch Kuch Hota’ and ‘Ghulam’, Rani will always be one of their favourites. Rani Mukherji’s journey in Bollywood is similar to climbing the ladder to the top. The people, who adore and enjoy Rani’s work, come from all ages and different generations. From small children to the elderly, Rani’s fans form part of all generations. To her fans, Rani can do no wrong.